“840 presents an evening of new music for viola and cello, performed by Jennifer Ames Alexander and Colin Alexander (Tre Voci). Showcasing the versatility of this duet format, the programme will feature intimate, resonant pieces from Eva-Maria Houben (Wandelweiser) and Marc Sabat alongside brand-new works from Colin Alexander and from 840 curators James Luff and Alex Nikiporenko. 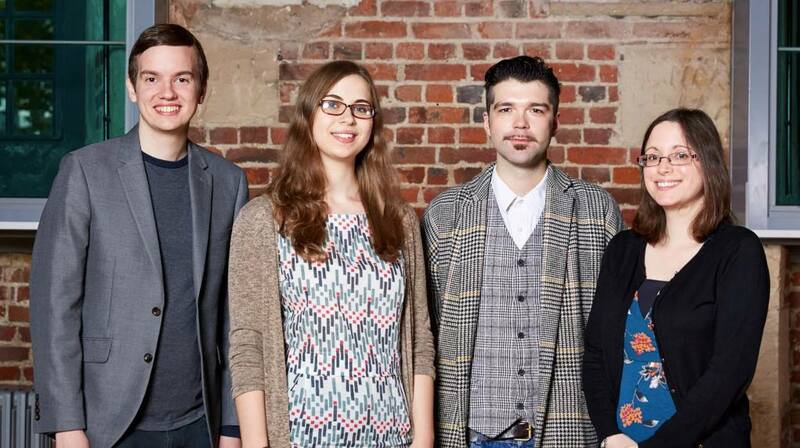 “London Symphony Orchestra‘s Discovery’s Soundhub programme presents new music by first year composers, performed by LSO musicians and guests. A quick note – this is one of the few times I’ve heard of Stroh string instruments being used in classical concerts, although a century ago they’d have been quite common. Late Victorian devices, they’re trimmed-down solid-body versions of acoustic instruments (mostly from the orchestral string section, but also sometimes guitars and lutes) with their sounds amplified by built-in metal resonators and horns, like early phonograms. Designed to replace traditional string instruments which might be drowned out in noisy environments, they were used in early recording studios before being killed off by amplification technology and better microphones. “Augmented Instruments Lab, based out of the Centre for Digital Music at Queen Mary, focuses on developing new instruments and interfaces for musical expression. 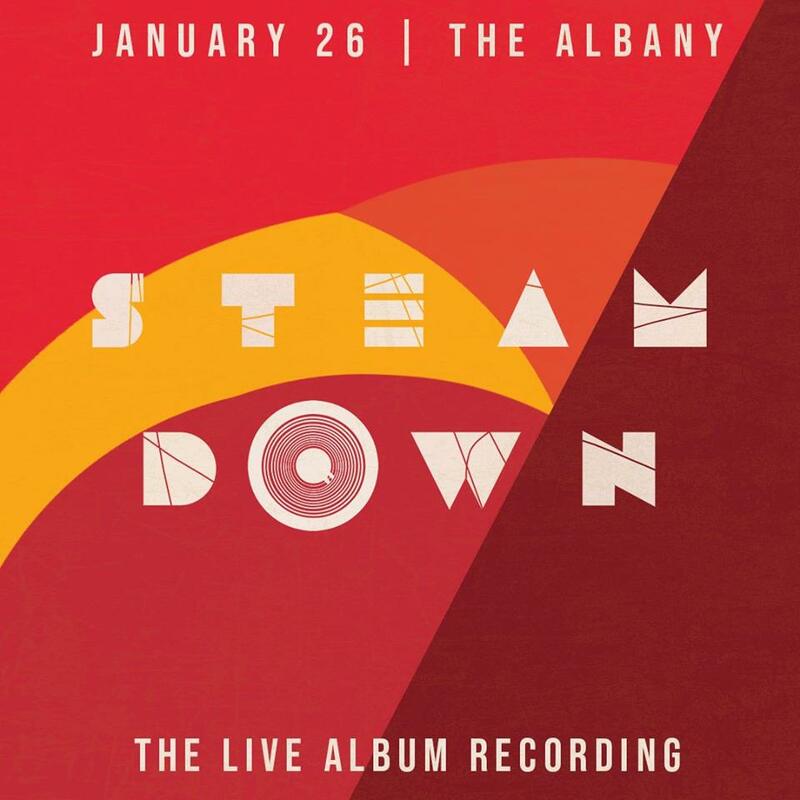 Come experience a selection of live performances of the instruments of the lab performed by internationally touring performers and the instrument designers themselves. 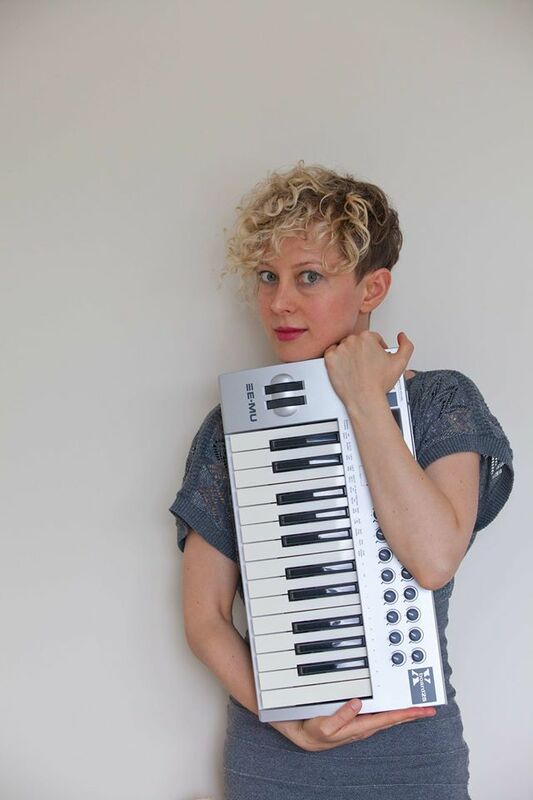 “Xenia Pestova (an internationally acclaimed performer of augmented instruments) will perform ‘Glowing Radioactive Elements’, a new piece she composed this year for the Magnetic Resonator Piano. The composition draws on the unique timbres, harmonics, infinite sustain, and pitch bends performable on the Magnetic Resonator Piano. 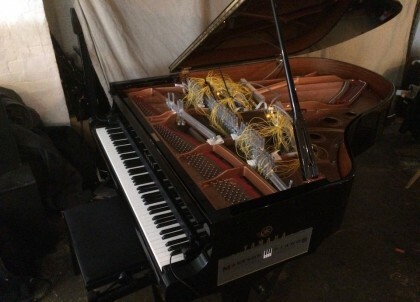 The MRP, invented by Augmented Instruments Lab director Dr. Andrew McPherson, is an augmented grand piano featuring eighty-eight magnetic resonators. “Canadian composer and digital instrumentalist D. Andrew Stewart performs ‘Ritual For Karlax’ – a unique performance with the Karlax digital music instrument (a gestural controller developed by Da Fact). Explore new sonic territories made of real and imaginary metallic ritual bells and electro-winds. “Performing her augmented violin (that uses custom sensor arrangements to detect natural playing techniques to highlight musical and technical expression), Laurel S. Pardue (of Misshaped Pearls) will perform both a solo piece and a collaborative performance with coder and instrument designer Jack Armitage (in which parameters of the augmented violin will be live coded). 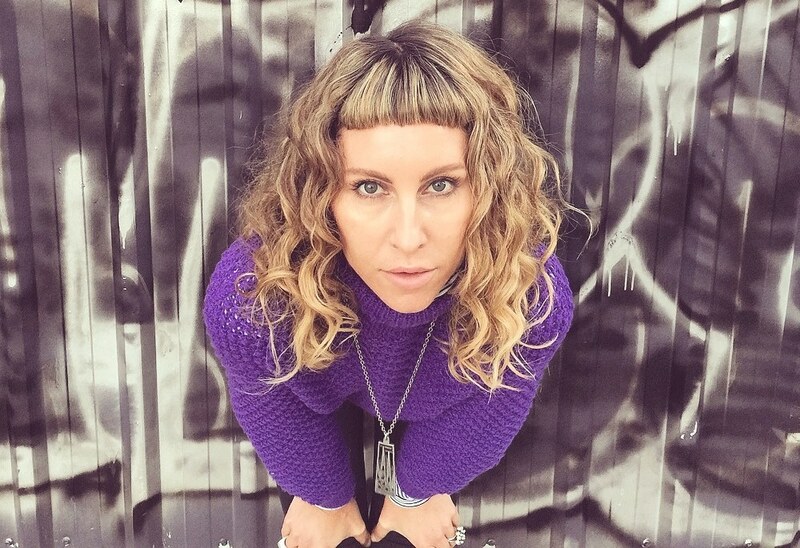 “Producer and instrument designer Lia Mice debuts her newest instrument in her ChandeLIA series: the SHIMI (Spiral hanging inharmonic metal instrument). The SHIMI ChandeLIA is a new suspended musical instrument exploring inharmonic resonances and spacial gesture mapping. Lia’s debut SHIMI performance will explore the instrument’s dark sci-fi-esque bell resonances, drones and chimes. “For the first time in London, Giacomo Lepri will perform his set for clarinet and live electronics. The sonic output of this otherworldly futuristic clarinet system features both live processing of the clarinet and pure synthetic sounds. This setup combines algorithms, ideas and practises developed during Giacomo’s research at Amsterdam’s STEIM institute. As Christmas approaches I find myself in a tearing hurry; so don’t be too surprised if the remaining gig posts for the year rely even more on text ripped straight off Facebook or other gig notifications. I’m just here to boost the signals and blend the options for the month, though I’ll also patch in any missing information as I go. Adrian Lane – who’s also recorded as Calicoade and (in collaboration with Guido Lusetti), as That Faint Light – is a man of mutually superimposed talents. He’s a visual artist as well as a musician, or perhaps he’s better described as a simultaneously visual and musical artist: his music integrating acoustic and electronic elements, struggling in a dreamy web of neoclassical/mediaeval folk inspirations and textural ambient foggings. Adrian’s newest album, ‘Playing With Ghosts’, uses cut-up and re-ordered samples of hundred-year-old wax cylinder recordings as its main sound source (something Adrian goes into in greater depth in this interview with his record company Preserved Sounds. “A night of deep audio-visual sorcery in three acts to mark the release of solo electric guitarist Dean McPhee’s much anticipated third album ‘Four Stones’ – featuring Dean’s hypnotic drone-folk guitar work and the visual feedback footage of Barry Hale, the homemade instrument/OHP séance shadow-puppetry of Folklore Tapes duo Sam McLoughlin & David Chatton Baker and the films and musical improvisations of Amy Cutler and Sylvia Hallett. “Dean McPhee is a solo electric guitarist who combines fluid, chiming melodic lines with shimmering drones and deep layers of decaying delay and echo. He has a unique style of playing which draws together influences from British folk, dub, kosmische, post-rock and Mali blues, and his music has a hypnotic and dreamlike quality. His latest album ‘Four Stones’ is due to be released on Hood Faire (a label run collectively by Dean, Sam McLoughlin and David Chatton-Barker) in January 2018… For this gig Dean will be playing to footage of video artist Barry Hale‘s Intraference visual feedback films. “Sam McLoughlin plays homemade instruments and contraptions along with guitar, analog synths, harmonium and pump organ. 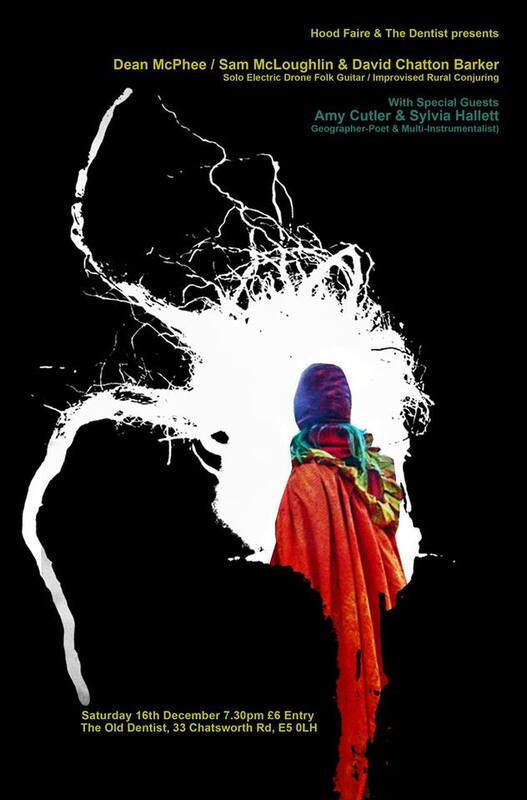 Sometimes he sings songs; at other times he combines handmade Moondog-like percussion with microphone feedback, synth drones and unpredictable bowed textures to produce improvised music with magical and shamanic overtones. Sam recently released the album ‘Flaming Liar’ on Them There Records and has previously released music on Andy Votel’s Twisted Nerve as well as Folklore Tapes, Pre Cert Entertainment and Hood Faire. “David Chatton-Barker is the co-founder and captain of the highly regarded Folklore Tapes label which was recently described by Brainwashed.com as “possibly the most unique and fascinating label around”. 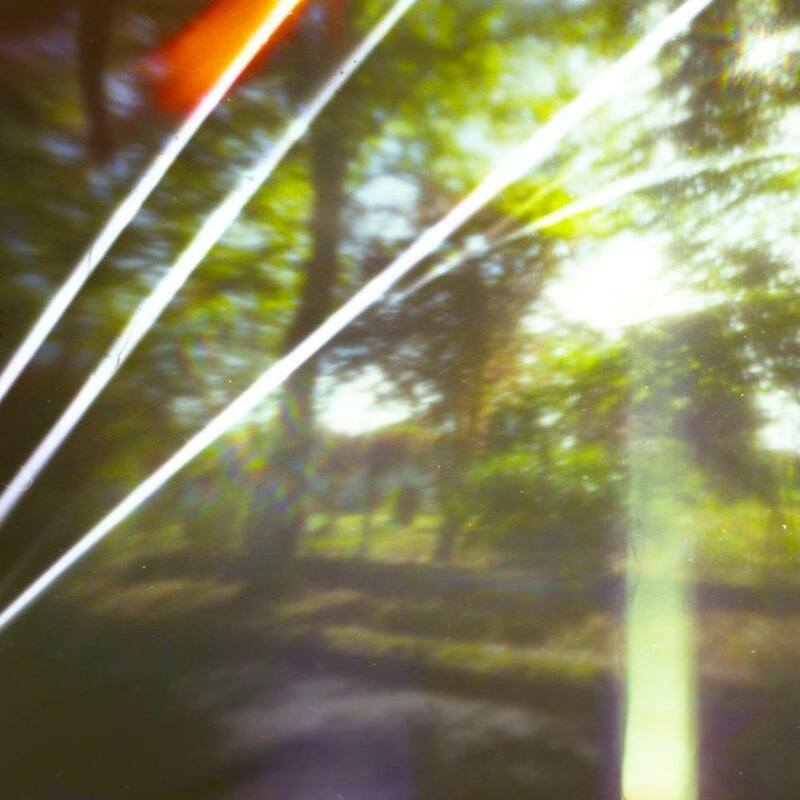 As well as being a visual artist and film-maker, David also specialises in playful and atmospheric collages of sound, dictaphone recordings and live improvisation. Like Sam, he also builds his own very inventive and visually striking homemade instruments and sound-making devices, which he uses to perform live (along with projections and ritualistic interventions). “As a new duo, geographer-poet Amy Cutler and multi-instrumentalist Sylvia Hallett draw on the dark sides of nature: from sea parasites to forensic botany to elegies based on Arctic bird migrations. They perform live improvisatory settings of pieces drawing on natural history, such as ‘you, the stingbearers’, based on Jean-Henri Fabre’s nineteenth-century chronicle of human desolation, ‘The Life of the Fly’. Instruments include the viola, the musical saw, and Sylvia’s Russian garden vines. Amy’s projections include kaleidoscopes of tree rot and insect forms in nature documentaries, and she will also screen some of her short music videos inspired by drone music and experimental landscape cinema.” (See below for Sylvia at work on a bicycle wheel, plus Amy’s short film ‘Incantations From Yin Valley’ – made this year with experimental drone musician Bridget Hayden, previously of Vibracathedral Orchestra). Punters at Café Oto will tell you that the beloved Dalston art pit sells a variety of craft beers. To my knowledge, none of them are made with singing yeasts. Next month, that might change. 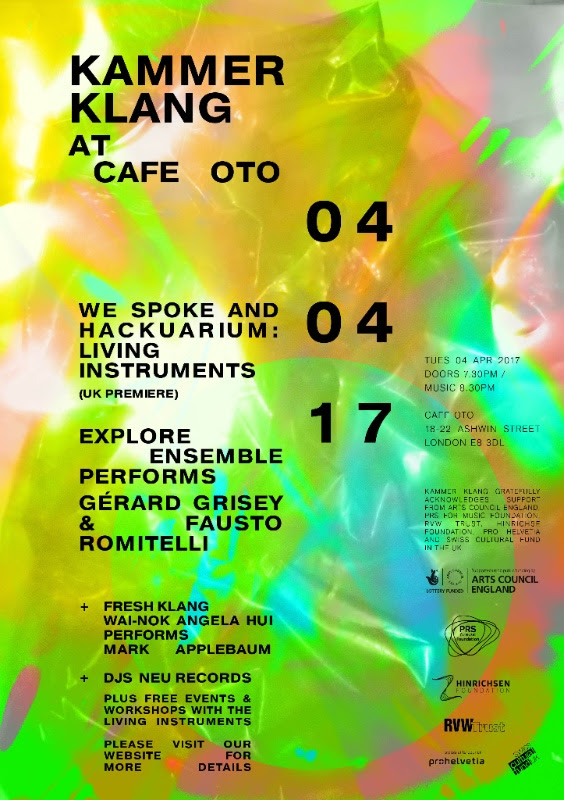 The centrepiece of this month’s Kammer Klang activities at Oto are the Living Instruments – “musical instruments based on microorganisms, built by a team including classically trained musicians and professional and hobbyist scientists” – which are making their British debut following their world debut at Le Bourg, Lausanne and an appearance in Darmstadt at the 2016 International Summer Course for New Music. 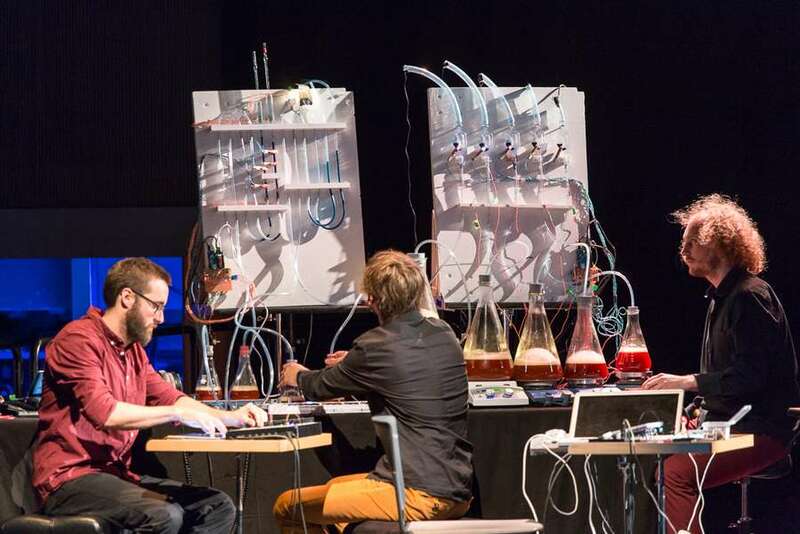 Initiated by Swiss DIY-biology open lab Hackuarium as a low-tech, low-cost, open source interdisciplinary research project, they’re being presented and performed by the Swiss-Anglo ensemble We Spoke, who’ll be triggering the lifeforms and interpreting their output. Control devices featured include the Mossphone (which monitors the physical reactions of moss when it’s touched, and interprets them as analogues to “singing, snarling, murmuring or growling”), the yeast-driven Bubble Organ, the bacteriological marshal-and-track Paramecia Controller and the iPadPix app (part Geiger counter, part cloud chamber, part drum machine), in conjunction with the Virtual Soprano instrument controller (which translates facial movements into music). Some of the chemical and biological actions will be projected onto screens as a visual accompaniment. The composer’s workshop (with ten places available to those who can send a CV and a couple of sentences outlining their interest in the project) gives composers a crash-course in the workings of the organisms and their control devices, plus the opportunity to compose and fine tune a piece using the control software, to be presented to the public on the Monday night concert. 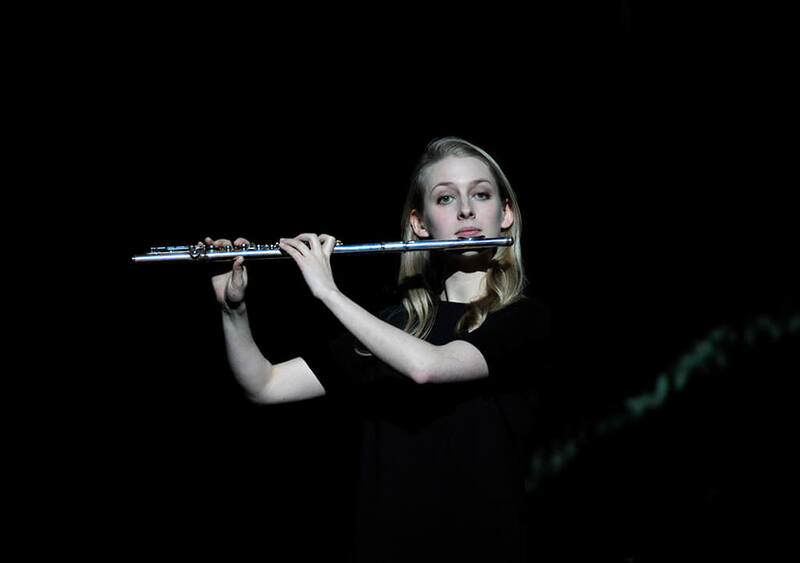 Also playing at Kammer Klang are twentieth/twenty-first century classical specialists Explore Ensemble, made up of soloists associated with the Royal College of Music. They’ll be playing two pieces: both of them by composers whose lives were unfairly cut short, and both of whom were associated with the evolving-timbre-over-time school of spectral music. “In Latin, “talea” means “cutting,” and in Gérard Grisey’s ‘Talea’, an initial idea is gradually excised—elements removed and others taking their place. In two parts played without pause, the work is intended to — in the composer’s words — “express two aspects or, more precisely, two auditory angles of a single phenomenon.” But his concise description feels inadequate to describe the experience of hearing the score. ‘Talea’s power comes from its examination and illumination of an overtone cycle, a phenomenon integral to Grisey’s output (and spectral music in general). This month’s Fresh Klang item is provided by London-based percussionist Wai-Nok Angela Hui, one of the percussion finalists in the BBC Young Musician of the Year 2010 and a performer with the BBC Symphony Orchestra as well as a soloist and chamber musician. She searches for the unexplored possibilities between classical music, musical theatre and art, and collaborates with artists, poets and painters, incorporating a multitude of instruments and styles. She’ll be performing ‘Aphasia’ by Mark Applebaum– a demanding physical/philosophical performance piece written for hand gestures synchronised to pre-recorded sound. (The latter is based on thousands of edited and transformed vocal samples originated by baritone Nicholas Isherwood, from sung notes, musical phrases and intoned numbers in a variety of language through to drones, lip smacks and hiccups). Here’s an excerpt from Camille Brown’s ‘Stanford Report’ essay on the original work, plus a video of Applebaum himself performing it. “While the piece was inspired by a conversation between Isherwood and Applebaum, the idea to write a piece for a mute singer with hand motions was Applebaum’s own “obsession.” His intention was to have Aphasia come across as a metaphor for “expressive paralysis,” something that unnerves him every time he “confronts the terror of composing a new piece.” So how does one go about the paradox of writing a composition for a performance that has no form of verbal communication or written words? This months’ Kammer Klang DJ set is provided by Neu Records, an independent label which, last year, released We Spoke’s album ‘Different Beat’ (featuring the music of Fritz Hauser). Based in Barcelona, the label is devoted to recording contemporary music in surround and 3D formats, as well as providing a platform for interaction between international composers and performers of the highest level. This year, Piano Day is on the 29th of March. I did a pretty exhaustive guide to last year’s event – I doubt that I’ll go to the same lengths this year (if you’re interested, have a look at the official site), but here are a couple of upcoming concerts related both to that and to its tinkly little brother, World Toy Piano Day eleven days earlier on 18th March. 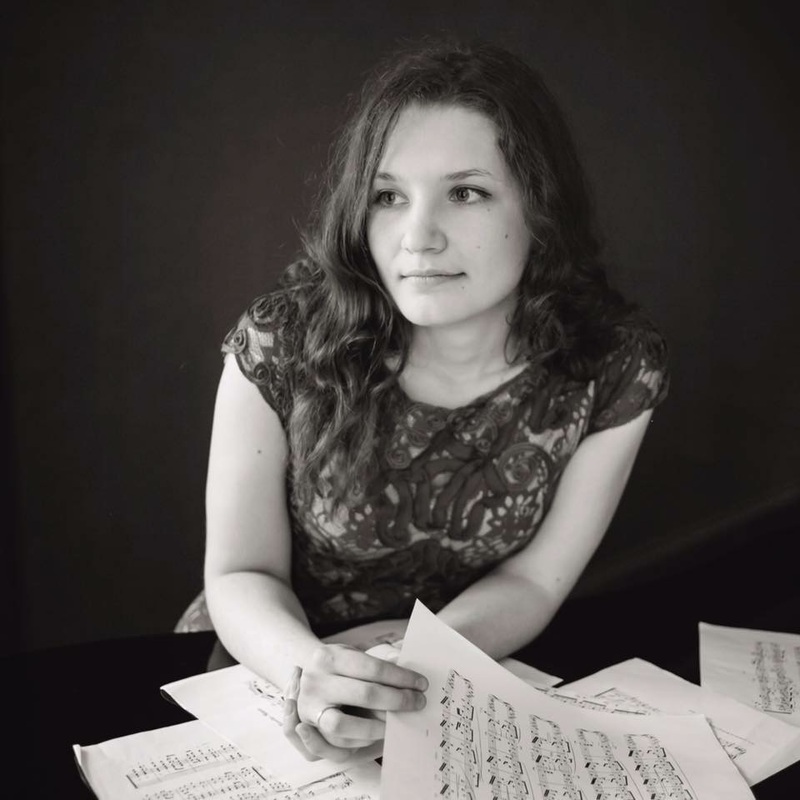 Xenia is also one of the several pianists performing at the Daylight Music Piano Day concert at the start of April. As well as composers ranging from Grieg to Takemitsu, these three upcoming London gigs take in trolls, moths, David Bowie, extended fiddles and oboes, and just a tiny hint of saw abuse. Let’s have a look and listen. “In our second show of 2017 we are joined by Klara Lewis, the critically acclaimed sound sculptress who has performed in clubs and art galleries around the world. Lewis builds her work from heavily manipulated samples and field recordings, creating a unique combination of the organic and the digital. Klara’s second album ‘Too’ was released in 2016 on Editions Mego to great acclaim. She will be performing with Nik Colk Void, an experimental electronic recording artist who is one part of Factory Floor (an alliance with Gabriel Gurnsey) and one-third of Carter Tutti Void (with former Throbbing Gristle members Cosey Fanny Tutti and Chris Carter). Coming from an English art school background, and an education that was decidedly non-musical in nature, Nik’s work is as conceptual as it is visceral – exploring the out-regions of pushing and manipulating sound (via modular synthesis, extended guitar techniques and vocal processing), and collaborating with contemporary visual artists such as Haroon Mirza and Philippe Parreno. “We are also joined by Phaedra Ensemble, whose performances explore the spaces between classical, experimental and contemporary music. 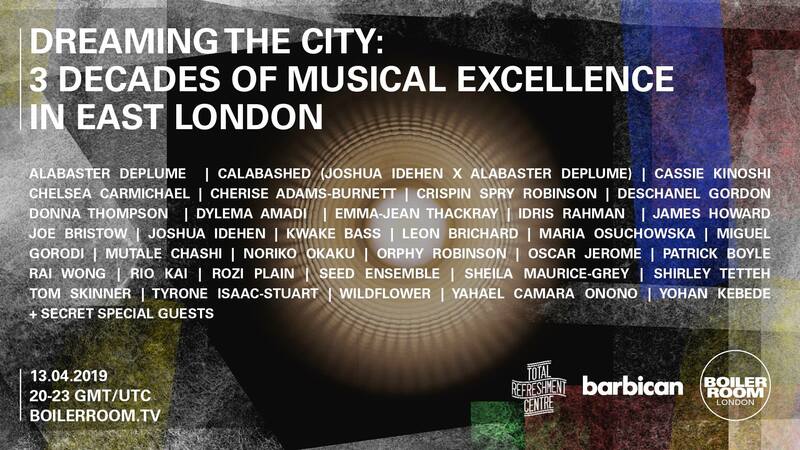 Phaedra brings together some of London’s most exciting musicians to curate programmes with new collaborations, reinterpretations of well-known modern works and forgotten classics. Its members have a strong intuition for genre-crossing and interdisciplinary work, often in collaboration with artists from other disciplines. This month Phaedra will perform ‘The Indistinguishables’, a 2014 string-quartet-and-electronics work by Leo Chadburn. Leo is a composer and performer of experimental and electronic music, gallery music and (as Simon Bookish) avant-pop. ‘The Indistinguishables’ works through a cycle of seventy names of UK moth species, each accompanied by a chord or phrase, like a fleeting soundtrack to these evocative words. The recordings are triggered by the quartet, so the pacing of the pauses and resonances is under their control, part of their ensemble dynamic. 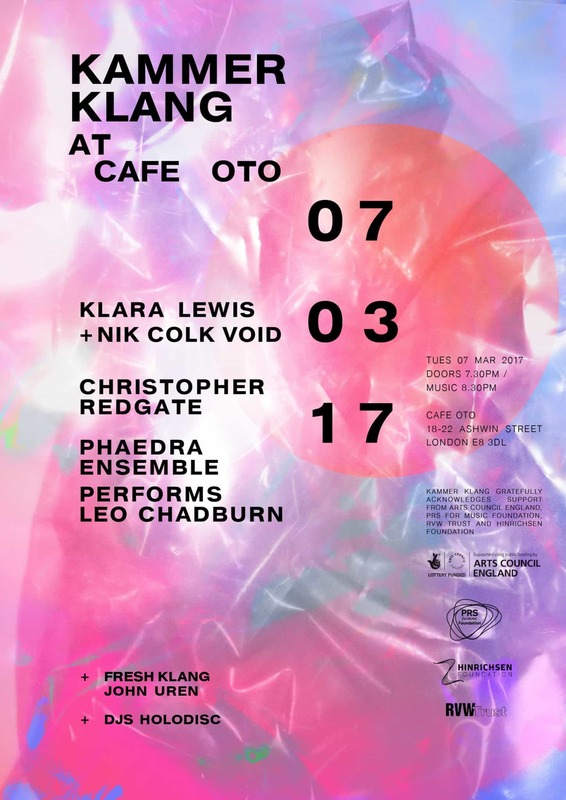 “Phaedra will also be performing this month’s “Fresh Klang” work, which is from British composer John Uren. ‘A few weeks after David Bowie’s death in January 2016, Dr Mark Taubert, a palliative care doctor based in Cardiff, wrote an open letter to Bowie, posthumously thanking him for the soundtrack he had provided to his life, his dedication to his art, and the inspiration he was, and continues to be, for others also facing end-of-life illnesses. Retweeted by Bowie’s son, Duncan Jones, Mark’s letter has gone on to have a huge impact, and has been recited at several Letters Live events by Jarvis Cocker and Benedict Cumberbatch. John collaborated with Mark for this composition, combining a recording of Mark reading his own beautiful letter with fragile strings and electronic timbres; acting as a cushion for Mark’s words to drift across. “The distinguished oboeist Christopher Redgate will perform his own work ‘Multiphonia’. Since his time as a student at the Royal Academy of Music, he has specialised in the performance of contemporary oboe music. Now the Evelyn Barbirolli Research Fellow at the Royal Academy of Music and a Fellow of the Royal Academy of Music, Christopher (in collaboration with Howarth of London) has redesigned the instrument. He performs exclusively on his creation, the Howarth-Redgate 21st Century Oboe, which offers extended capability for twenty-first-century music including microtones, multiphonics, extended range and electronics. South and slightly west, here are a couple of interesting-looking duo shows at the 1901 Club in Waterloo – picked out from the rest of the venue’s busy schedule by dint of having interesting instrumentation, interesting juxtapositions, or the promise of new pieces being premiered. 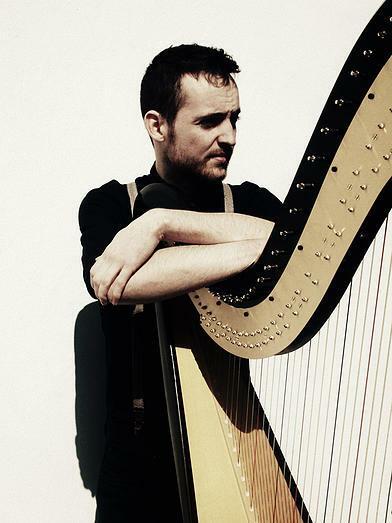 Outstanding contemporary harpist and Riot Ensemble member Tomos Xerri performs regular duet concerts with English National Opera’s principal flautist Claire Wickes (who also plays as guest principal with most of the big London orchestras, as well as the São Paulo Symphony). Here’s one of those shows – one of the Hattori Foundation’s showcase concerts, nicely timed for the Waterloo homeward-bounders. While Claire and Tomos will be playing a set of established pieces by Takemitsu, Debussy, Piazzolla and American tonal hero Lowell Liebermann (as well as a sonata by the distinguished twentieth-century British polymath William Alwyn), they are both strong enthusiasts for contemporary music, and are premiering a new composition by Trinity Laban alumnus Liam Mattison (a recent partipant in the LSO’s Panufnik Composers Scheme). Look out, too, for any mention of Tomas’ upcoming musical-saw-and-electronics project… which at the moment seems to be more of a tingling promise than anything concrete. If any more evidence shows up, I’ll blog it myself. This is a musical celebration of two cultures, Norwegian and Russian, performed by Norwegian violinist Elisabeth Turmo and Siberian pianist Elena Toponogova. Both are recent or imminent Masters graduates from the Royal College of Music, with growing international reputations. 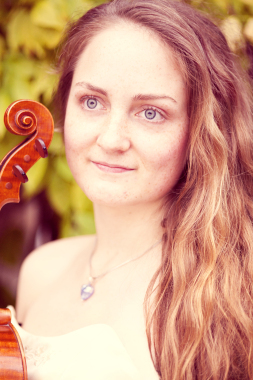 Elizabeth has performed as a soloist with the Arctic Philharmonic, the Oslo Chamber Orchestra, the Toppen International Festival Orchestra and the Barratt Due Symphony Orchestra; while Elena has performed as a chamber musician and soloist across the United Kingdom, Russia and Germany. Already tagged as “conveying the stormful temperament of a northern Norwegian” in her concert performances, Elisabeth is also an up-and-coming exponent of the hardingfele, or “Hardanger fiddle” – the thin-wooded Norwegian violin with additional sympathetic strings which is traditionally used for folk dances and church processionals, and which bridges the gap between Norway’s ecclesiastical life and its supernatural mythology (by way of “troll-tunings” and Robert Johnson-esque myths about music lessons from the Devil). Several hardingfele pieces will be performed as part of the concert set. I doubt that these will include a solo arrangement of Michael Grolid’s recent ‘Ouverture’ (as played here two years ago by Elizabeth and Barratt Due’s Symphony Orchestra) but I’ve included it in lieu of her having posted up any other recordings with the instrument. 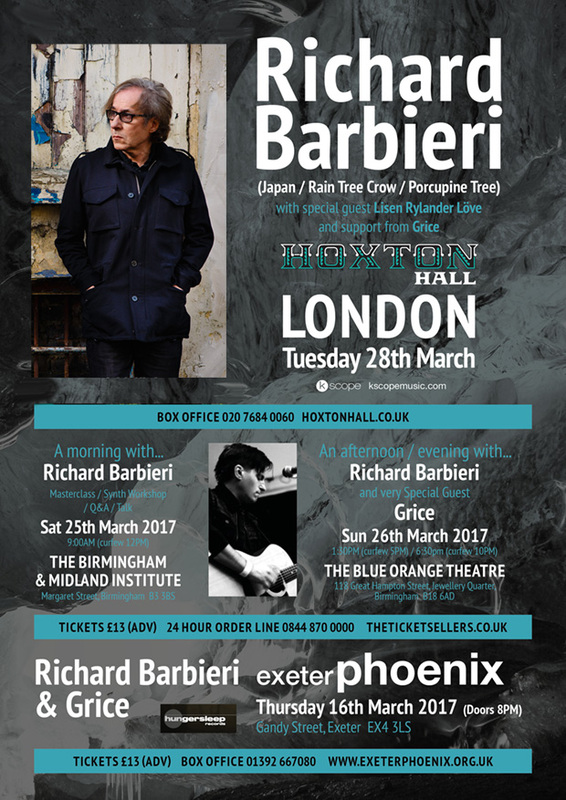 In mid-March, Richard Barbieri heads out on a five-date English tour supporting his new album ‘Planets & Persona’: on all but one of the dates he’ll be sharing the bill with art-pop singer-songwriter Grice. Over a five-decade career as a keyboard player, Richard has exemplified a precise balance between pop and the avant-garde. Initially compared to both Brian Eno and Karlheinz Stockhausen, his work anticipated the likes of Aphex Twin and a host of shrouded twenty-first century electronica artists. Initially finding fame as the keyboard player in art-pop band Japan, his approach reached its first apogee in the chimes-and-sibilance atmospherics of their 1982 single Ghosts: unwilling to be restricted by the glamour-punk through which he’d entered music (yet unsuited to either roots playing or the formal technicalities of progressive rock) he’d concentrated instead on developing electrophonic timbre and immaculately-planned textural arrangements, allied to subtle pop tunefulness. 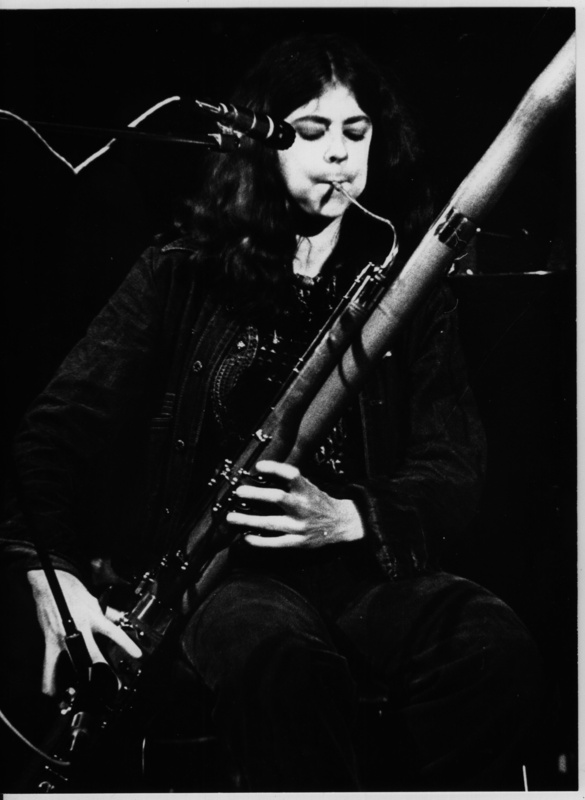 Richard went on to refine his techniques in the post-Japan realignment projects Rain Tree Crow and Jansen Barbieri Karn, to work with left-field instrumentalists and bands (including Hans-Joachim Roedelius, Percy Jones, No-Man and The Bays), and to become an experimental sonic foil for singer-songwriters (Steve Hogarth, Tim Bowness, his own wife Suzanne on ambient folk project Indigo Falls). For seventeen years he was a member of Porcupine Tree, helping to shape the texture of the band’s music as it shifted from psychedelic space rock through prog to metallic adult rock, while simultaneous honing his own skills with more conventional keyboard playing on organ, clavinet and Mellotron. Richard’s recent string of solo albums – including ‘Planets & Persona’ – marry his past experiences with further inspirations from contemporary dance, electronica and left-field progressives. One of the singer-songwriters who’ve benefited from Richard’s textural input, Grice is a more recent art-rock emergent. London-born but now Devon-based, he began as an early ‘90s arty Britpopper with the bands Laugh Like A Madman and The Burning Martyrs before refining his work with the successor project hungersleep. Since 2012 he’s been a solo artist.The subsequent ‘Propeller’ and ‘Alexandrine’ albums – plus last year’s ‘Refractions’ EP – have explored Grice’s drive towards dramatic and emotive songcraft. Blending his ballad-singer openness and the feathered strength-and-vulnerability of his high, breathy voice with a wide range of acoustic and electronic ingredients (brass-band and acoustic guitar, Uillean pipes and violins, touchstyle instrumentation and electronic glitch) they’ve rewarded him with acclaim in art-pop and progressive rock circles, plus the opportunity to collaborate on his own terms with instrumental and production luminaries such as BJ Cole, Markus Reuter, Raphael Ravenscroft, Lee Fletcher, Hossam Ramzy and Steve Jansen. On all dates, GRICE will be performing with his collaborator Duncan Chave, a Devon-based theatre composer and sound designer who (in addition to handling loops and programming) plays the Eigenharp, an intriguing breath/strip/finger-flex MIDI controller. In Exeter, they’ll also be joined by the rest of GRICE’s band (Jo Breban on drums, Al Swainger on bass and pedals). 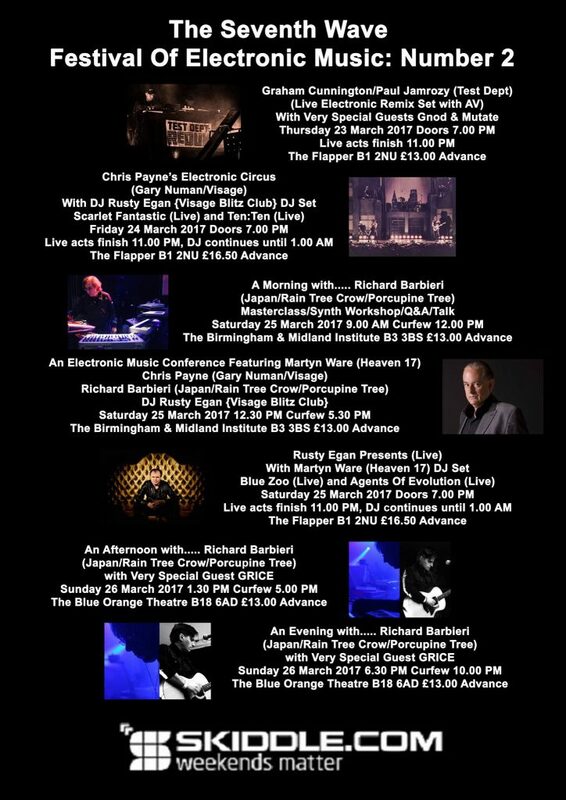 In contrast, Richard Barbieri performs solo at Exeter, but at the Birmingham theatre shows and the London date will be performing with Swedish singer/saxophonist/electronics player Lisen Rylander Löve, formerly half of experimental pop/jazztronica duo Midaircondo and one of the major guest contributors to ‘Planets & Persona’. While I’m here, a little more on the other events in the Seventh Wave Festival in Birmingham (for more information on Exeter’s Vibraphonic event, go browsing, since they don’t seem to have put a website together this year…) Put together by the people behind the local electronica radio show of the same name, Seventh Wave Festival expands the show’s sideline of putting on electronica, synthpop, post-punk, Goth and New Wave music nights in Birmingham. This particular concert series has a strong late-’70s/early-’80s focus, calling in some big names from the first synthpop wave. Visage mainstay and onetime ‘Blitz’ club DJ Rusty Egan will be performing material from his new album ‘Welcome to the Dancefloor’, as well as providing DJ slots and talks. Rusty’s ‘Fade to Grey’ co-writer Chris Payne (who also worked with Dramatis and Dead or Alive, as well as spending a decade in Gary Numan’s band) will be showing up with a brief resurrection of his early ‘80s post-Numan project Electronic Circus – for more on that, have a read of his recent interview with ‘The Electricity Club’. There’ll also be appearances by Richard Barbieri and by Human League/Heaven 17/British Electric Foundation’s Martyn Ware. Although late ’80s dance-poppers Scarlet Fantastic (of ‘No Memory’ fame) have had to pull out, they’ve been replaced by Peter Coyle of the revived The Lotus Eaters; his fellow New Wavers Blue Zoo are also in place. At the more experimental end, two members of electro-experimentalists Test Dept (Graham Cunnington and Paul Jamrozy) will be on hand with “an electronic remix preview of upcoming Test Dept album material” complete with audio-visual mix. Also contributing are representatives of newer takes on the electronic approach – Salford’s expansive Gnod collective, Ade Bordicott’s drone project Mutate, the vintage synthpop movie soundtrack-inspired Agents Of Evolution and Tony Adamo’s Ten:Ten project.